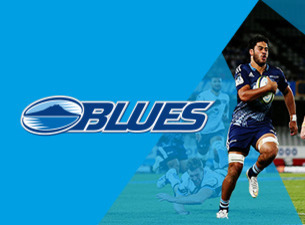 RADIO LOLLIPOP NZ is giving YOU and FIFTEEN mates the chance to watch the Auckland Blues take on the Brumbies on Friday 8 July from one of Eden Park’s best seats in the house. We have SIXTEEN corporate box tickets up for auction to see one of the best games on the calendar. You’ll be positioned in the Goldman Sachs Corporate Box - Suite 620, which has one of the best vantage points to watch the game. This package also includes parking for four vehicles to make your night even sweeter. So bid to win a chance to see your favourite team take on the Brumbies at Eden Park and support RADIO LOLLIPOP NZ ‘For Children in Hospital’. Funds raised from this auction will be used to help develop and expand our state of the art children’s radio network and services within children’s hospitals throughout New Zealand. Our organisation has been entertaining children within New Zealand hospitals for the past 30 years and is run 100% by volunteers. PLEASE NOTE: With such a tight turnaround, tickets must be paid for and collected within 3 days of the auction closing. This auction is for SIXTEEN tickets within the Goldman Sachs corporate box and FOUR parking tickets only. Any additional charges for catering, beverages or a personal steward must be organised and paid for by the successful bidder.